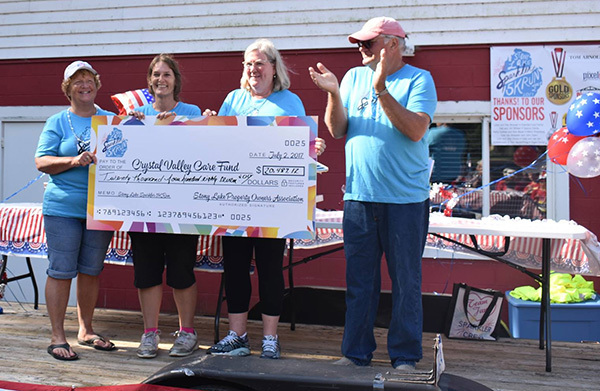 THE STONY LAKE SPARKLER 5K IS A FUNDRAISER FOR THE CRYSTAL VALLEY CARE FUND! Donations can be made as part of the registration process. The Sparkler 5K 2015 raised $11,579 for the fund. Many area groups have held fundraising events, raffles, workplace, challenges etc. to benefit the Care Fund. IN AN EFFORT TO CONTINUE the long term strength of this nonprofit, an anonymous donor established a permanent endowment fund at the Community Foundation for Oceana County in 2014. The new endowment fund, along with their dedicated volunteers and committed donors, will ensure that the good works continue long into the future. for the Crystal Valley Care Fund! 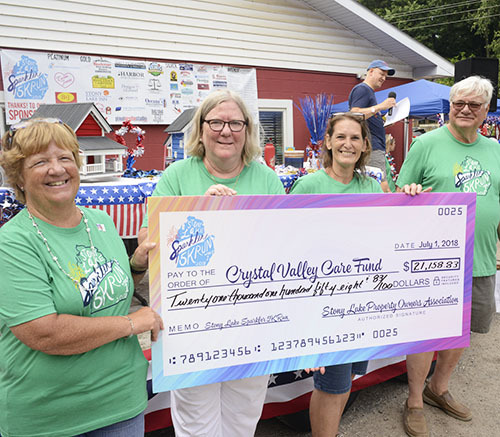 THE CRYSTAL VALLEY CARE FUND is a grass-roots organization established in 1992, has quietly raised funds to help Oceana County families facing catastrophic hardships, house fires, life-threatening illnesses and other life altering events. THE CARE FUND OPERATES 100% WITH VOLUNTEERS, donated office equipment, a PO Box and a listening ear when you call. You won’t find any overhead with this organization. In the past 6 years alone, the Care Fund has helped over 860 families. 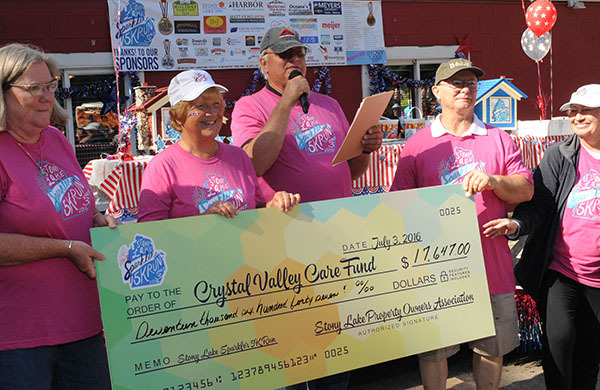 Crystal Valley Care Fund, PO Box 451, Hart, Michigan 49420. With your help, the Sparkler 5K 2017 raised $20,482.12 for the fund, exceeding the amount raised during the 2016 Sparkler 5K! The Sparkler 5K 2016 raised $17,647 for the fund.